There is nothing like a good jolt of pretty color to start the day. I'm currently binding a quilt that I made using Trish's pattern. I can't wait to show it to you. Have you seen the latest Romantic Homes? The cover is so gorgeous! You could make a whole quilt using the cover colors as inspiration. I've been able to get a little sewing done this week. I made a valance for the kitchen. I used a decorator fabric that was in my stash (sorry, no name on it) and added trim and a ruffle using Paris Flea Market. A house is being built behind me so my screen is in permanent dirt status until it's finished…a pretty valance makes it so much better! My sewing room is coming along s-l-o-w-l-y. I'm still trying to figure out where everything should go. It is fun to open another box and find pretty retro cake decorating items. Have a blessed day! 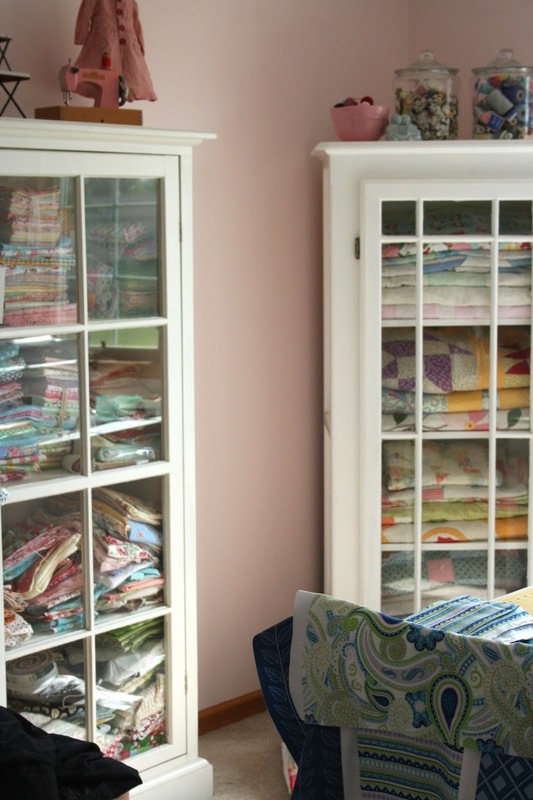 Ohhh, I love the cabinets in your sewing room! 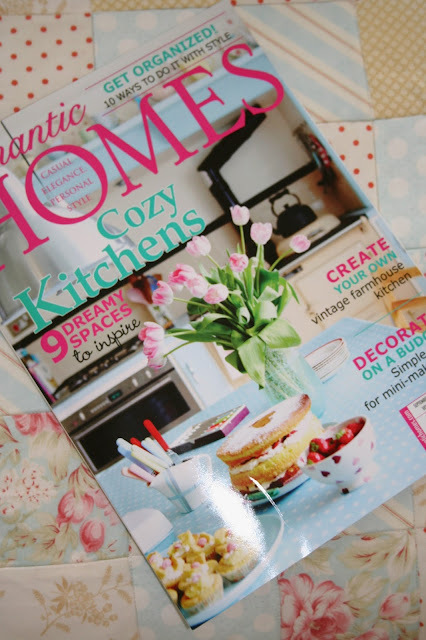 That Romantic Homes magazine has all your favorite colors! I think you actually have made a quilt or two like those haven't you:>) I can't wait to see your finished Avalon quilt, that backing fabric is so adorable. Love your rosey valance too! Everything is so pretty here. Just delightful! Love all the pink and blue in your photos!! 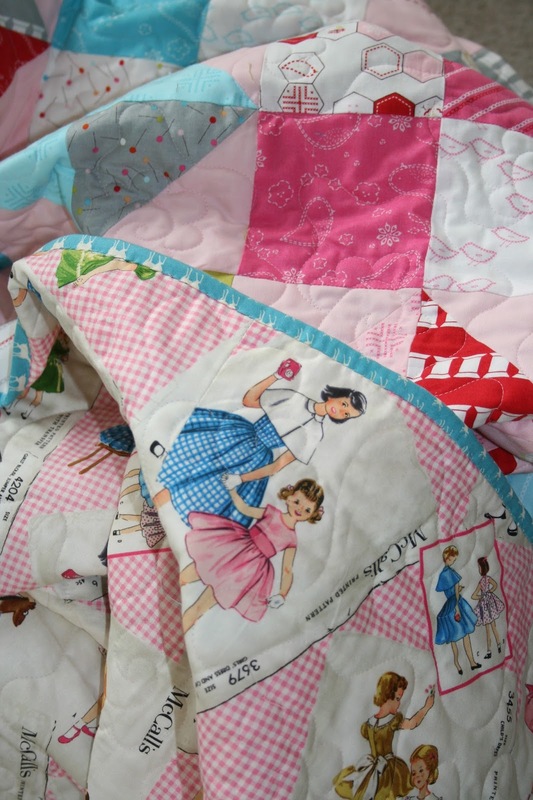 Your quilt is going to be so darling! I love your little quilt. Can you tell me the name of your binding? I got a little piece of that fabric in a grab bag and I would love to see if I can get some more, but I don't know the name of it. 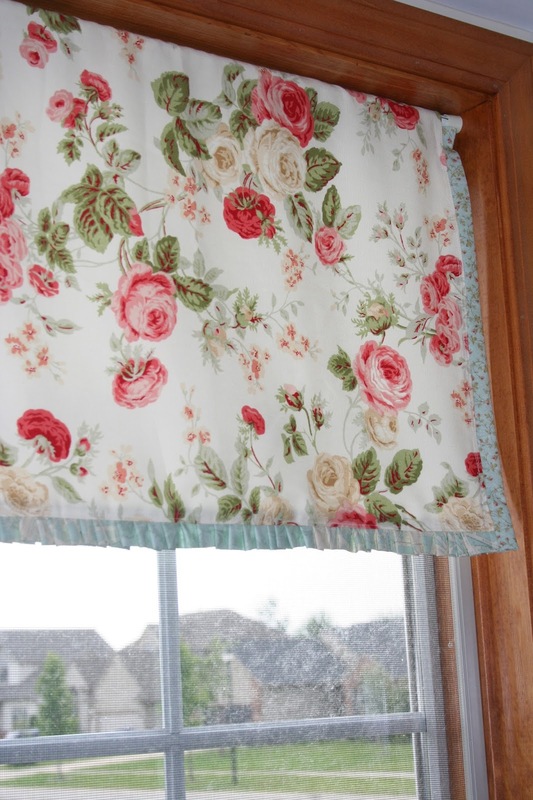 I love your valance! I find your blog so inspiring. One of my favorite magazines. I love your quilt. I love the backing fabric. Where did you get that. Hi Renee! The backing fabric has been in my stash for a while now. It came from JoAnn Fabrics. Pretty valance and what a happy quilt you are making! 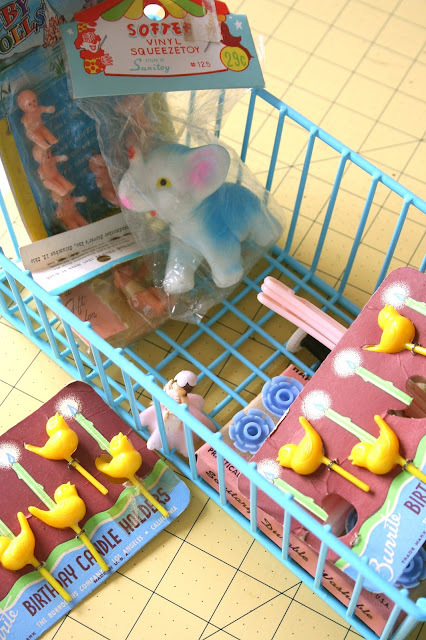 Fun vintage goodies!